There aren’t many traditional songs which are directly about a Minnesota figure, but this one comes close to being an exception. During the Civil War, the year of 1864 revolved around two major campaigns: Grant’s and Meade’s attempts to defeat Robert E. Lee’s army and take Richmond and William T. Sherman’s attempt to capture Atlanta. Sherman’s army faced a smaller Confederate army initially commanded by Joseph E. Johnston, but as the campaign went on and the Federals managed to push Johnston back, Confederate President Jefferson Davis (who had very bad relations with Johnston) fired his commander and replaced him with John Bell Hood. Hood had earned a brilliant reputation as a combat commander in Virginia, but he had been wounded at Gettysburg and again at Chickamauga; he had lost a leg, and the use of an arm, and he was in constant pain. Nor had he ever been known as an administrator; what he did was fight. Having been appointed to command the army outside Atlanta, Hood knew that Jefferson Davis wanted him to fight some more. He tried. He attacked Sherman’s army several times — and was repulsed with heavy losses. Sherman, who now had a huge advantage in manpower, moved to cut Hood’s railroad lines. Hood, whose army was no longer strong enough to win a battle against Sherman’s army, had no choice but to evacuate the city. It was a decisive loss — the biggest victory for the Union since Vicksburg in July 1863. Had Atlanta held until the fall elections, Lincoln might not have been re-elected, and the Confederates might have been able to secure a peace. Or, if they couldn’t win a peace, they might at least have been allowed to retain their slaves. History might have been very different had the cautious, careful Johnston kept his job rather than giving way to the rampaging Hood. 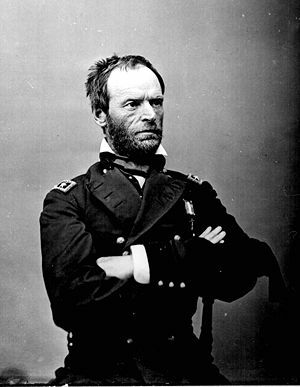 But, although Hood had lost Atlanta and had cost the Confederacy more than it could really afford, he still had an army, and Sherman in Atlanta was hundred of miles from his sources of supply in Tennessee. There was one way that Hood might still rescue the situation: By cutting Sherman’s supplies. The inspiration for this song came from one of Hood’s attempts to do just that. Allatoona Pass housed a major Federal supply depot, with about a million rations (roughly a week’s supply for Sherman’s army) as wells as a significant number of cartridges. The pass was fortified, but despite its importance, it was guarded by a very small force — a demi-brigade of three regiments (between 850 and 900 men) commanded by Lt. Colonel John E. Tourtelotte of the Fourth Minnesota Regiment. Against them Hood sent a division (admittedly rather weakened) led by Major General Samuel Gibbs French. Fortunately, the Federals had managed to send in another five regiments, commanded by Brigadier General John Murry Corse (1835-1893), giving then almost 2000 troops to defend Allatoona from French. 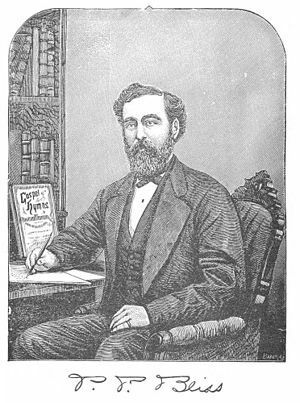 The correspondence which followed gained national attention. French, thinking he was facing a tiny force, suggested the Union troops surrender “to avoid a needless effusion of blood.” Corse, who definitely had a way with words, replied “we are prepared for the ‘needless effusion of blood’ whenever it is agreeable to you.” French was going to have to do it the hard way. Hold out Corse did, with the Fourth Minnesota playing a major part in the defence of the site. Corse did take a severe wound in the fighting; he reported the next day that “I am short a cheekbone and an ear, but am ready to whip all hell yet.” As indeed he was; the inner defences at Allatoona held out until Sherman arrived and French retreated. 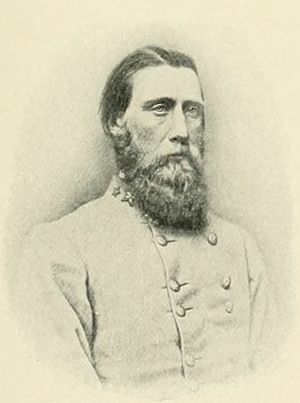 Corse was breveted Brigadier General for his service (the promotion was dated October 5, 1864, the day of the fight at Allatoona); Tourtelotte was made Colonel as of October 5. The journalists of the time did not have the exact text of Sherman’s signals; they paraphrased him as ordering “Hold the fort; I am coming.” And that signal — even though it was never made — inspired this song. It is the work of Philip Paul Bliss (1838-1876), who also wrote “Pull for the Shore” (see that song for his biography). Obviously it is a gospel song, and bears no actual relationship to the events at Allatoona. But it would not have been written had it not been for Corse, Tourtelotte, the Fourth Minnesota, and their comrades. Source: The text is from the Digital Tradition. The tune is as given in Soldier Songs and Home-Front Ballads of the Civil War.